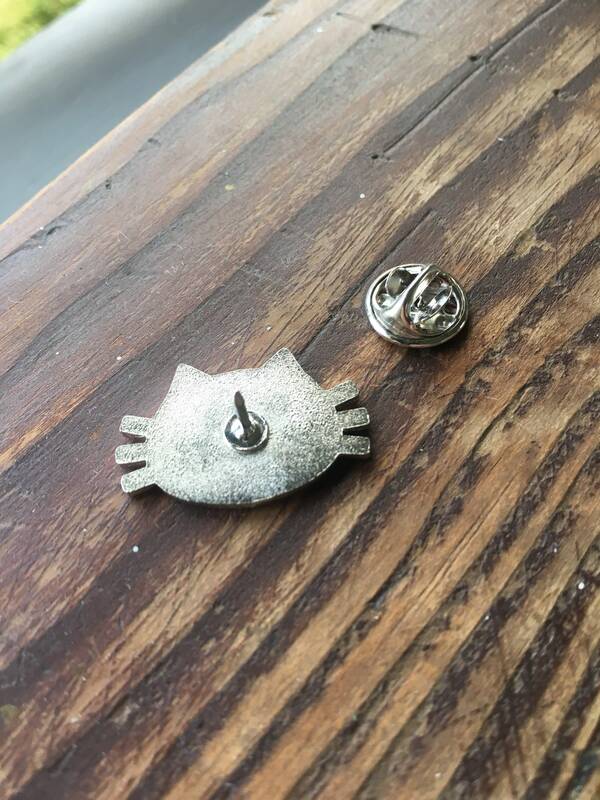 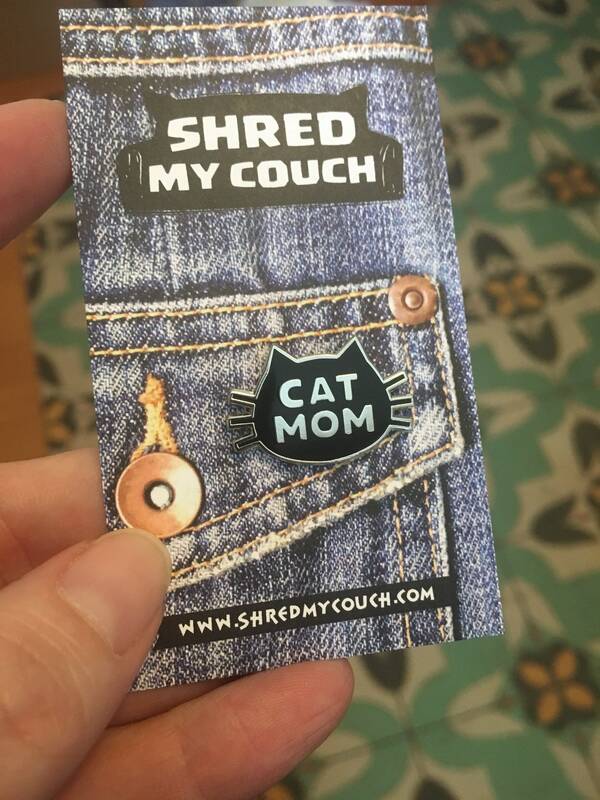 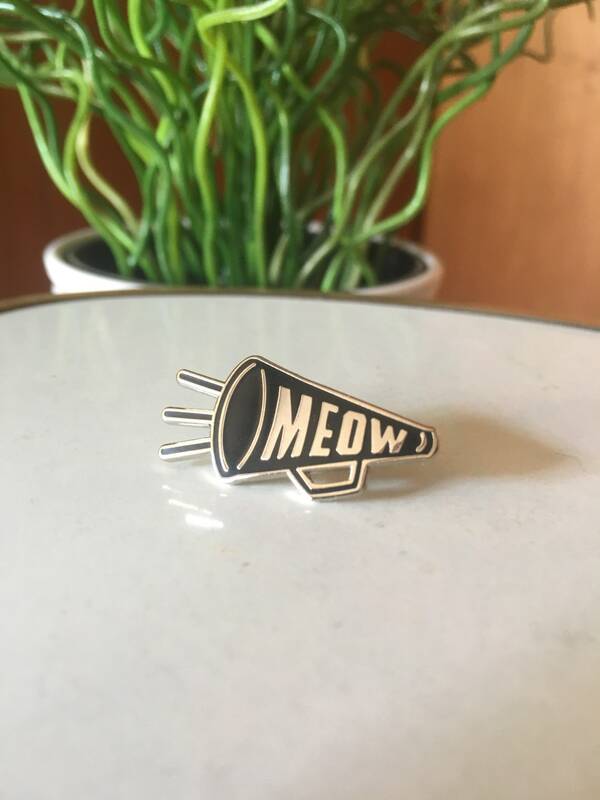 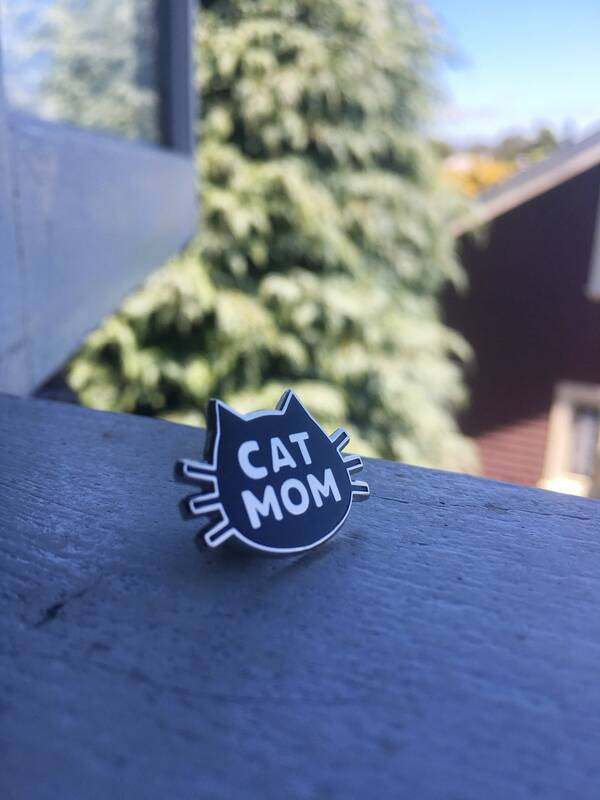 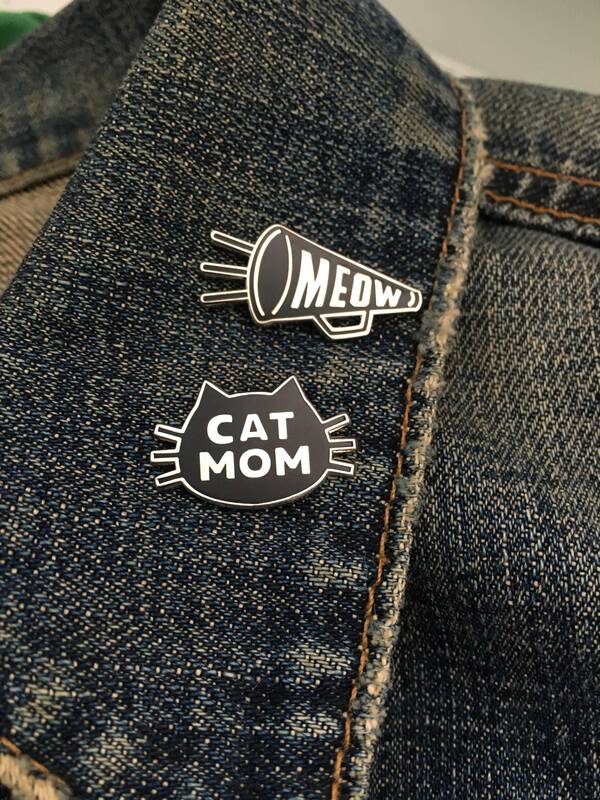 Cat pins: Cat Mom and Team MEOW combo Hard Enamel Cat Pin deal. 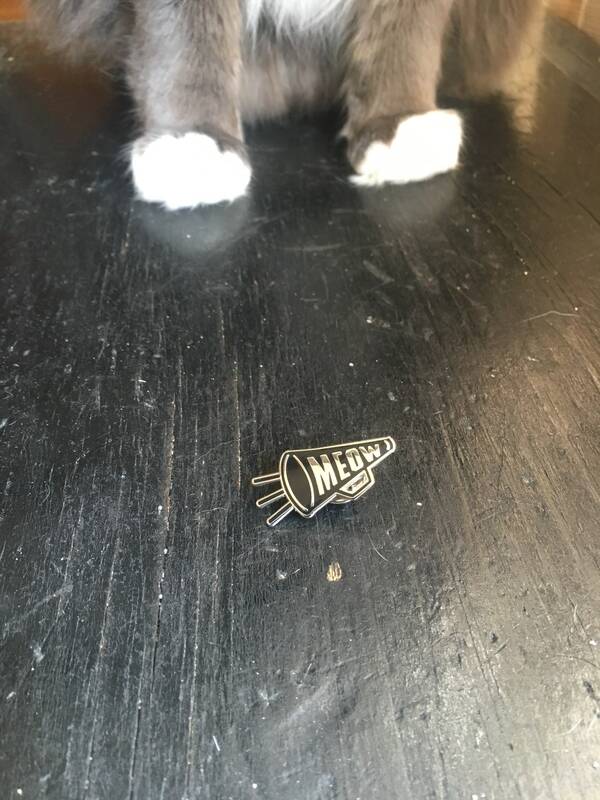 Pin deal comes with two pins. 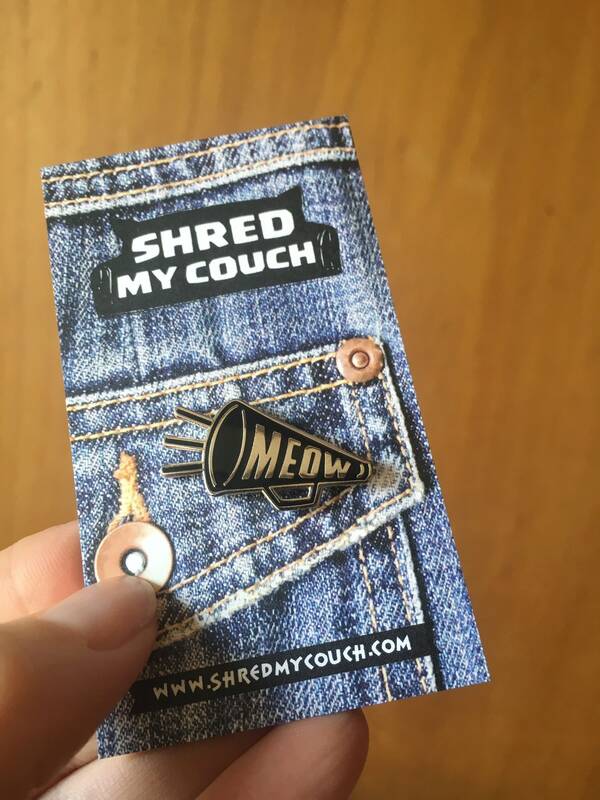 We also have this design as a t-shirt!